A discussion on all things jazz, all things Ottawa Jazz and Ottawa Jazz festival. Musings on all things musical and creative. 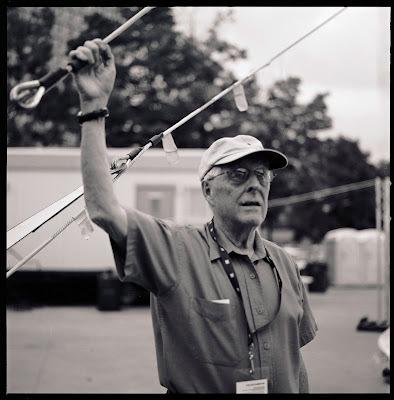 The Émond family would like to invite you to an evening of remembrance for the Jazz Festival’s founding Programming Manager, Jacques Émond at the National Arts Centre Fourth Stage on March 15 at 7 p.m. I am very proud to tell you about a new program we have started at the Ottawa Jazz Festival in partnership with Carleton University. It is one of the most forward-looking education programs in the city aimed at giving some of our high schools' best and brightest jazz stars a chance to work with some of the best professional musicians in the city. Roddy Ellias is a brilliant educator and guitarist who heads the band allowing them to explore all facets of jazz and music in general. The 2013 Jazz-Ed class is: Nepean High School’s Keagan Eskritt (drums), Canterbury High School’s Ben Heard (bass), Nepean High School’s Robert Wannell (guitar), Canterbury High School’s Ben Michel (piano), Nepean High School’s Ben King (trumpet), Earl of March Secondary School’s Colin Lloyd (trombone), Canterbury High School’s Mitchell Whalen (bass trombone), Bell High School’s Patrick Smith (tenor sax), and All Saints Catholic High School’s Lucia Lacovitti-Villeneuve (vocals). The JazzEd Youth Band will be performing at the Ottawa International Jazz Festival this summer as well as a few other performances. If you were there, you know about the magic that happened. Here are some photos to relive the moments of the Ottawa Winter Jazz Festival 2013. Ernest Dawkins band getting ready to transend! 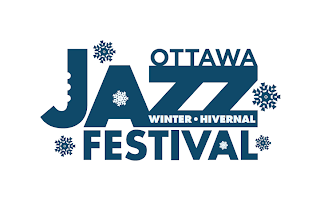 WINTER JAZZ FEST in Ottawa!!! 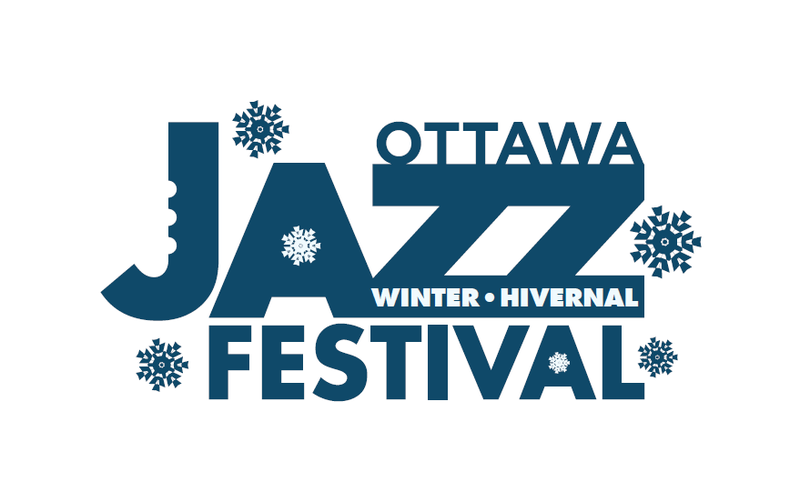 Well the 2nd edition of the Ottawa Winter Jazz Festival is upon us! It's time to pull out the sweaters and boots for next week and go out amongst your friends to dig the fresh and exciting sounds the Winter Jazz Fest has lined up. There is something exciting about all this hot jazz (pardon the pun) in this cold weather. On a normal day this time of year you might wake up, and just try to get through the day... through the cold... through the grey. But music reminds us all that we are alive, we are part of something bigger. This music, this festival is for our big lives, our dreams... for our inspiration! Michael Blake, one of my favorite Tenor players around! The time feel; the sound; the soulfulness yet with a fresh approach. This is a great group led by this Canadian raised New Yorker and featuring a great drummer who rarely makes it to the eats coast Dylan van der Shyff. Fred Hersch, the brilliant pianist never ceases to amaze... and what a life story of struggle and survival - I always feel like he is close to the music. This is not to be missed!!! Miguel is a recent addition to the Ottawa scene, transplanted straight from Cuba. Miguel has played with the who is who all over the world and we are extremely lucky to have him! If you've been to the festival jam sessions then you'll know this unbelievable drummer. He is one of the go to drummers in Toronto for all creative and driving projects. I am very excited he is bringing New York's Tony Malaby, an incredible tenor player who has played with Charlie Haden, Paul Motian just to name a couple. The pride of Ottawa, a legend in his own pianist Brian Browne leads this very special project featuring Roddy Ellias on guitar and Montreal's one and only Fraser Hollins on bass and Dave Laing on drums. It's not every day you get to hear Brian with a stellar cast like this. Fresh from New York's Winter Jazz Fest a couple of weeks ago, Ernest Dawkins is a Chicago legend. He is a big part of jazz history and playing stronger than ever! If you haven't heard of these guys... you might want to look again. They are raising up a storm all across the continent. This power trio's latest project tackles the music of the great David Bowie. You will not be disappointed with these guys. John Escreet is a silent force on the New York scene. He is often hear playing with david Binney, Adam Rogers, Robin Eubanks, Donny McCaslin and of course this group with this brilliant drummer Tyshawn Sorrey. Perfect pitch, photographic memory and a hunger for all styles and traditions... Tyshawn is a true genius! I saw Charlie Hunter in a dive bar in Brooklyn, where he did a week long residency and every night was packed. I felt all warm and cosy - simply from all the grooves Charlie was mustering up. I could listen to him for hours and I am really looking forward to this one! Their sound fresh and they are strong musicians. pretty much a sure equation. These guys are from Montreal bringing a mix of all kinds of styles of music from hip hop to electro jazz and atmospheric sounds! What better way to end the Winter Jazz Fest than with a party. This Toronto art rock band is nothing but fun! I was very sad this morning to find out that Ottawa's ambassador for jazz had passed away last night of a stroke. As soon as I heard the news I instantly remembered Jacques kindness, and all my encounters with this great man. I thought I'd share a few thoughts. I had met Jacques for the first time about 18 years ago when I first started to play around town. Upon our first meeting we had a long and enthusiastic conversation about jazz, where it was going and the great new players on the scene. Even in my youth I remember being in awe of the sheer knowledge, and simply the joy that this man had for the music. It was a way of life! And while his historical grasp of the art form was encyclopedic, Jacques also always looked out for new talent. He gave me my first truly professional gig when I was a part the group Resurrection Quartet with Pierre-Yves Martel, Mike Essoudry and Chris Bartos: giving us a spot on the Great Canadian Series. He called us 'the young lions', and this remains one of the most special shows I've ever done. Since then I've gotten to know Jacques well, and it was a great honor to follow in his footsteps as the Programming Manager of the Ottawa Jazz Festival two years ago. It has been wonderful to continue the momentum that Jacques helped establish for this great festival and community. Jacques Emond's dedication and love for the art of jazz was infectious, inspiring and everlasting. 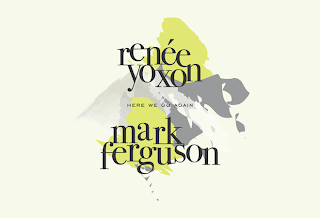 Renee Yoxon & Mark Ferguson CD Release tonight!!! It is the month of great singers! 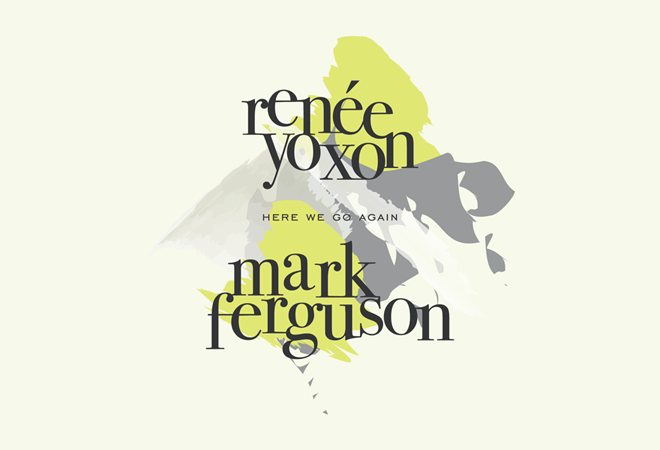 Tonight the city has the pleasure of experiencing the release of Here We Go Again, the new release from Renee Yoxon and Mark Ferguson. 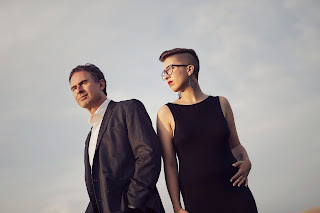 Renee has been forging her own style of singing and more recently songwriting... both of which have unremarkable focus, and she teams up with the well established, lush, and recognizable pianist Mark Ferguson. The album is full of their original music and is on sale today. Not only that, you can go check out the CD release party tonight at the NAC's Fourth Stage. 1. Simply put… what is the inspiration behind this project? Mark and I knew we wanted to make an album about a year ago. We were playing together weekly at a restaurant in Stittsville and that show gave us the opportunity to start writing together. The theme of the album came together after several months of writing. Together we composed about 16 or 17 tunes and paired that down to the 12 on the album. 2. You have a talent for interpreting songs beautifully. I know that you have been writing original material for a while now, have you found yourself going down a certain road musically or thematically? Yes. Musically, I have been drawn to the "Great American Songbook" style of compositions. Mark was a dream to work with because he really understands that style and was able to infuse my musical ideas with modern harmonic elements while still maintaining the traditional sound. Lyrically, I'm always drawn to themes of love and loss. Here We Go Again is largely about whirlwind romances that touch our lives briefly but leave a big impact. I had a lot of fun writing lyrics to Mark's compositions because his melodies are so singable the lyrics practically spring from the page. 3. I can hear both you and Mark as individuals on this CD, it's really great! What is the creative process collectively like between the two of you? Working with Mark was a great partnership because our styles and strengths complement each other. Sometimes Mark would present me with a song and I would lyrics for it. Other times I would bring an unfinished song to Mark and he would write a bridge or an ending or whatever it needed to tie the song together. We also wanted to make sure we were presented separately as well as together so some tracks are 100% Mark and others are 100% me. 4. Any good stories from the project/recording/songs? There's a lot of "you had to be there" type moments from writing/recording. Mark and I spend 80% of our time together killing ourselves laughing and ribbing each other. 5. What's the next step for you as an artist? I'm not sure. I think I'm going to spend some time out of the spotlight. Mark and I have also discussed touring the album and writing more songs for future work. I definitely need to spend some time in hiding to contemplate what I want to do next. Ottawa Jazz Fest Live Auction and Jill Barber tonight!!! Tonight The Ottawa Jazz Festival is presenting a great concert along with a live auction. There will be big and small items up for bids during the night as well as other great items to get your hands on before Christmas... and of course this is all to raise money for the Ottawa Jazz Festival so we can keep presenting groundbreaking art... it's all about the music! All proceeds go toward the Ottawa Jazz Festival’s scholarship programs. On Thursday, December 6, 2012, Library and Archives Canada will again play host to the Ottawa Jazz Festival’s Annual Fundraiser. This year, the Canadian chanteuse Jill Barber will charm guests with a selection of warm, romantic selections to take the chill out of the Fall air and set you dreaming on some fantastic auction items. As a performer, Jill Barber charms her audiences while weaving a romantic spell. Indeed, romance plays a huge role in both her life and her art. Guests will be treated to a reception allowing them time to see old friends and make new ones over some tasty hors d’oeuvres. A full list of auction items will be posted on our Web site. Click here to see our live lots! Petr Cancura is the programming director for the TD Ottawa International Jazz Festival, an acclaimed musician, and from his home base in Brooklyn he keeps his finger on the pulse of jazz music. Ottawa Jazz Festival Inc. Awesome Inc. theme. Powered by Blogger.